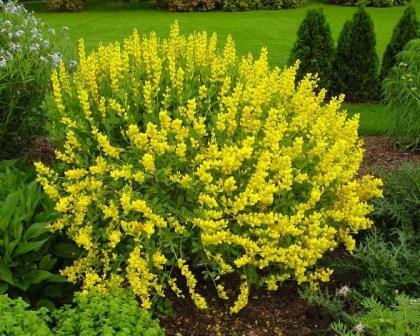 TScreamin' Yellow Baptisia was selected for its flower power and compact habit. 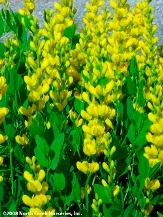 A multitude of sturdy spikes filled with brilliant yellow pea-like blossoms are held above the rounded blue-green to gray-green rounded foliage. Baptisia's are durable pest and disease resistant native taprooted perennials and could be considered the Lupine for the south. 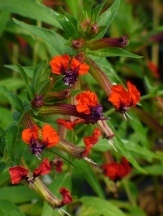 An excellent addition to the perennial border or cut-flower garden that is drought tolerant, deer resistant, durable, and easy. Baptisia's only get better with age producing more and more spikes of flowers successively each year that they are allowed to share our gardens. Baptisias resent being transplanted once established. 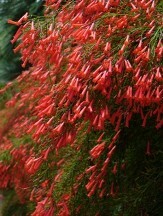 Images courtesy of North Creek Nurseries. Soil & Moisture: Moderate to dry, well-drained soils. Tolerant of poor soils. 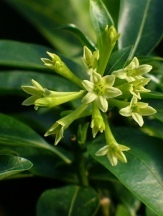 Please be advised that humans and/or animals may have allergic reactions if part(s) of this plant are consumed or by coming into contact with sap from bruised or broken plant parts: Plant parts may be toxic if ingested.